Knife chopping speed, pan speed, turn the pot knife and cut the gap to achieve the best combination of product fineness makes chopping, heating up a small, chopping a short time, especially because of emulsification, the fine products of the intestine greatly enhanced the density and elasticity, the greatest degree of improved meat emulsifying effect, flexibility and sophistication. 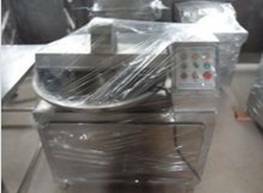 When the use of working rotating cutting blade and blade shearing action on the formation of the orifice hole chopped raw meat, and the role of stress in the screw extruder, the raw material continuously from the plane. According to the different material properties and processing requirements, configure the appropriate tools and the plate can be processed into particles of different sizes to meet the technical requirements of the next process. 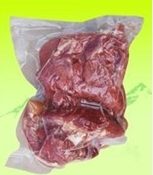 Usage: grinding livestock bone mud, mess, pigskin, cowhide, brown mud, mud shrimp, peanut paste, fruit puree, hummus, etc., can also be manufactured bone meal, spiced aniseed and other products. 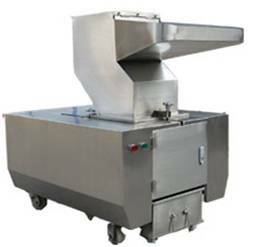 Production capacity :0.4-10 (m3 / h) t / h Made of stainless steel, non-polluting materials for processing, in full compliance with food hygiene standards, wear resistance, long life, easy to operate, easy to clean maintenance, low noise, a wide range of machine-processed products, is currently in the field of bone New products can be well maintained after its original material processing various nutrients, good preservation effect. 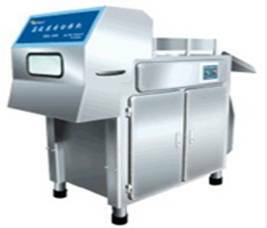 Output Power: 5.5KW production of 4-5 t / h Motor speed: 1450 r / min Weight: 600KG The machine can cut directly to -12 ℃ -18 ℃ all kinds of frozen meat without thawing, reducing the delay of time, avoiding the loss of whole meat in slow process of nutrients, the meat processing must essential equipment. It draws on similar foreign products of advanced technology, high production efficiency. 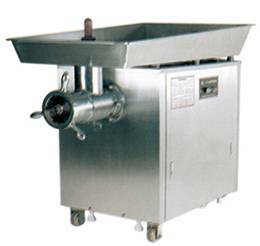 Machine are made ​​of stainless steel blades made ​​of high quality alloy, sharp blade, good cutting effect. 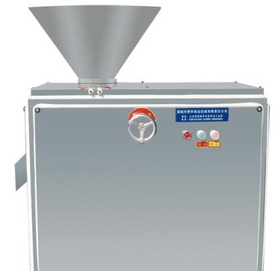 All vacuum packaging machine vacuum packaging machine is the most economical in price and most convenient to use, the lowest energy consumption of a model. 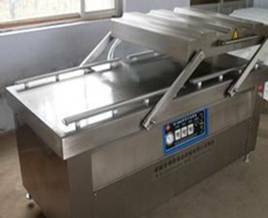 Vacuum packing machine has only one studio, vacuum packaging machine working process is loaded bags of food, out of the air bag package, after reaching a predetermined degree of vacuum, complete the sealing process. Single-phase, three-phase motor type is optional.